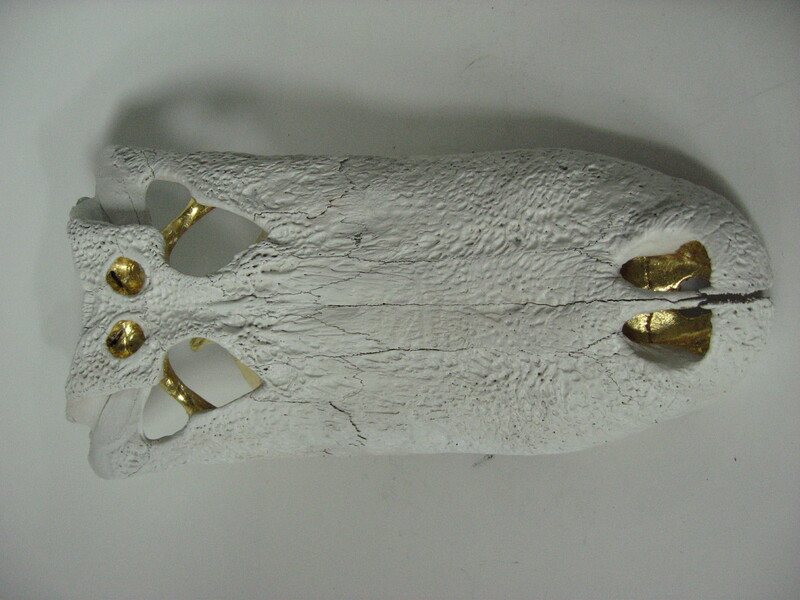 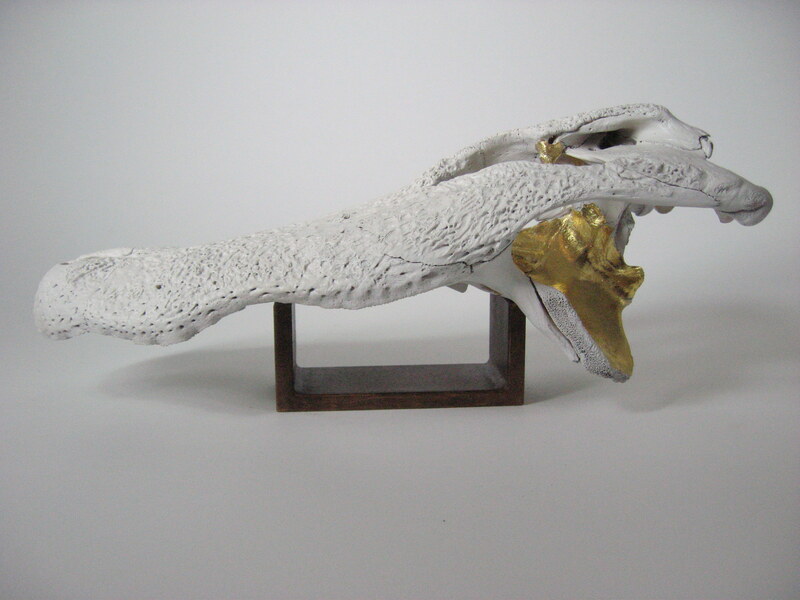 Authentic alligator skull with 24 carat gold leaf peeking out of the skull cavities. 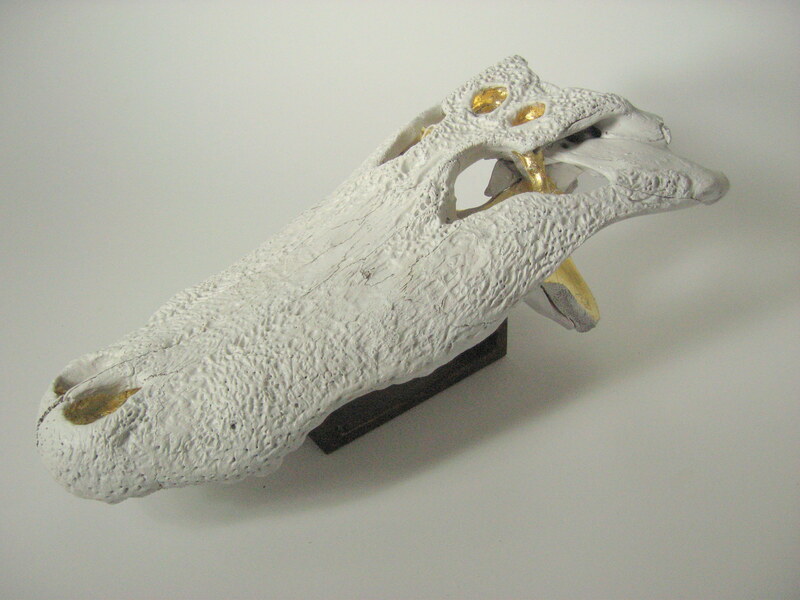 Bronze patina steel mount or acrylic mount in the same shape is available. 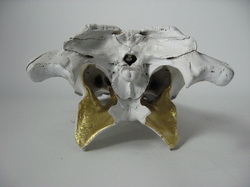 Makes a stylish collection when grouped with one or two more skulls, with gold leaf embellishment or without. 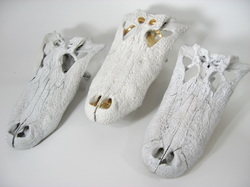 L 10" x D 19.5" x H 9"